I've always been known as the shopping specialist among my friends in a sense that I just happen to know where to get the basics.... most of the time, in the cheapest price. You and I know how it feels to buy something online and later on to find out that they are selling the exact same thing in another website. So, I thought it would be useful to share my personal shopping tips. 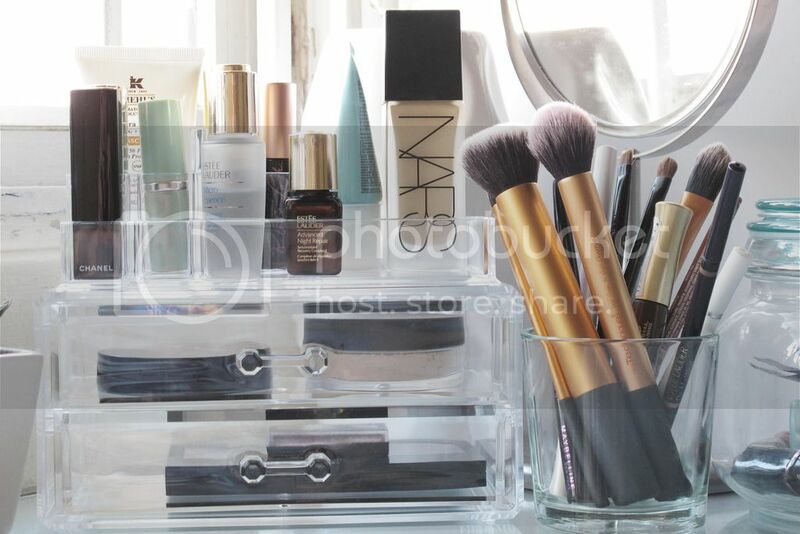 It is like as if every girl who owns a pile of make up, owns one of these acrylic make up organisers. 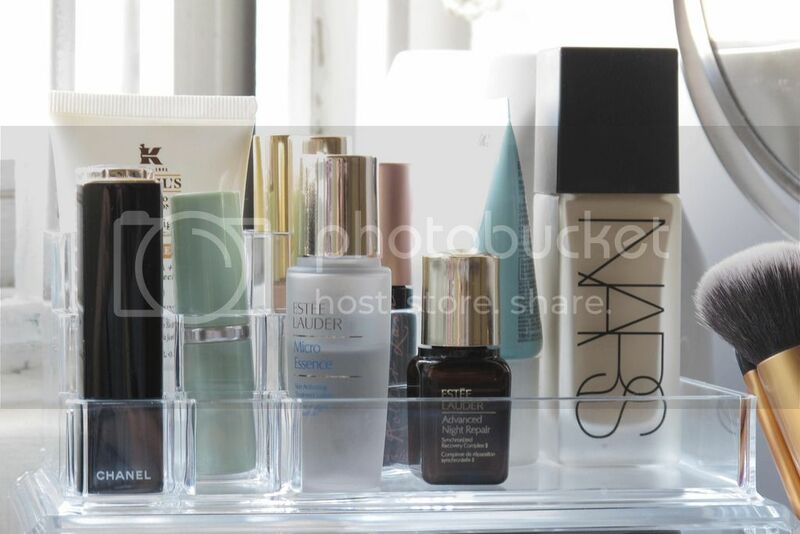 Well, no doubt, it is a nice looking organiser and that it plays a huge role in compartmentalising make up products. 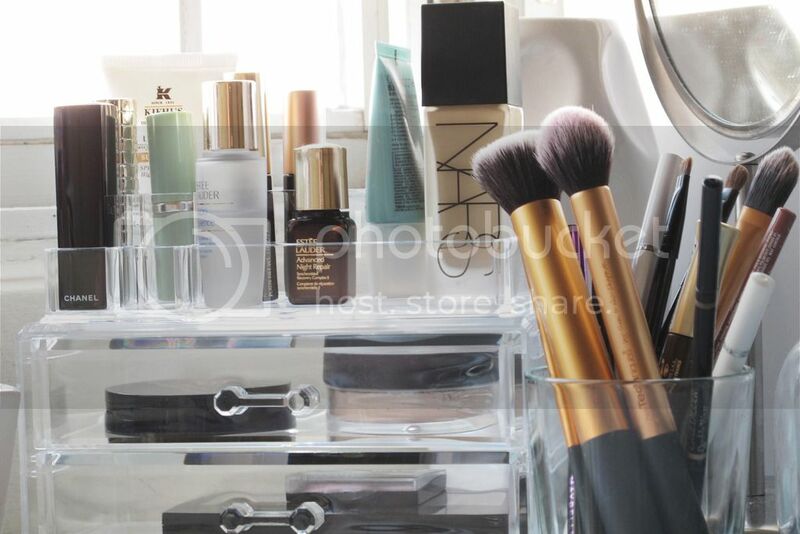 Another thing is that you can see through the drawers, so digging through make up is made easier and that in general it just makes your make up collection look extra nice. The Top Section, which has a compartment that you can fit like 4 lipsticks and a wide platform to put liquid foundation and etc. The Bottom Section comes with 2 drawers, 18cm long and about 5cm height per drawer; ... p/s: No, you can't fit the Naked palettes. 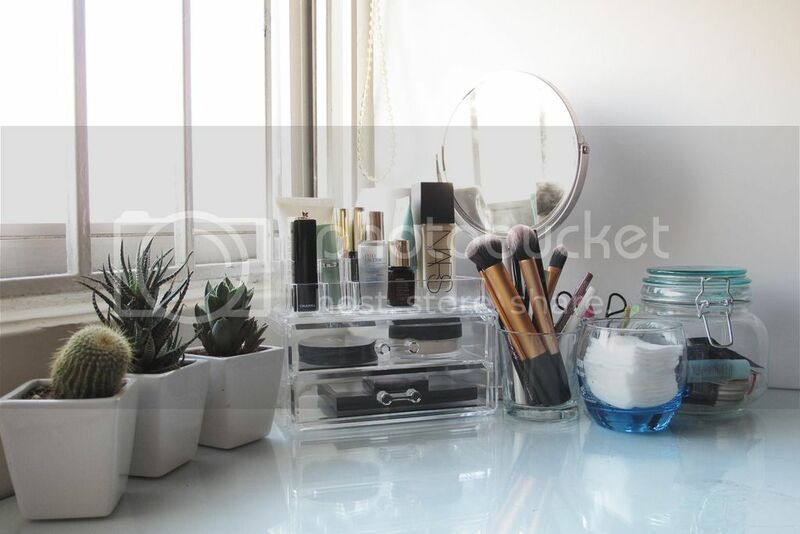 I pair the organiser with some glass jars for brushes, eye liners and mascaras, along with a glass container for my samples sized stuff. Here's the important part. Where to get them? Probably one of the cheapest I've seen in Malaysia. I've seen some that were sold at like RM96 and I was like, "sai mm sai ah". So I found this website and did some background research on the company before I purchase them. P/s, it looks big in pictures, but really, it's not that big. You can get about the same designs from Popular (I've only heard) and Muji (but it's like super expensive). These glass jars used to be candle jars I bought from Ikea and I bought them solely because I want the jars. It took me about a month or so to finish burning the candles. After that, I put the candle jars into a hot boiling water to melt the wax in them for easy removal. 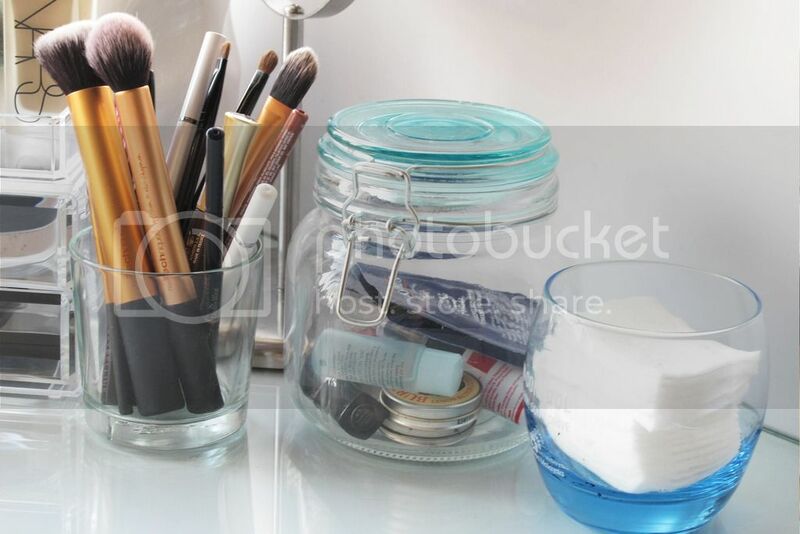 I use these glass jars to put all my brushes, eyeliners, mascaras and eyebrow pencils. I know, I should've bought like 3 of them but back then, I didn't have a reason to buy so many. I'm quite sure they are still selling them.. unless they are just out of stock.